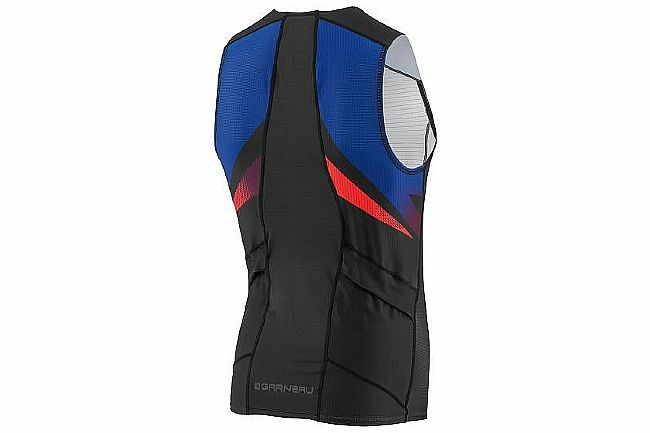 The Men’s Pro Carbon Comfort Triathlon Top 2018 features a sleeveless, full front zipper design. 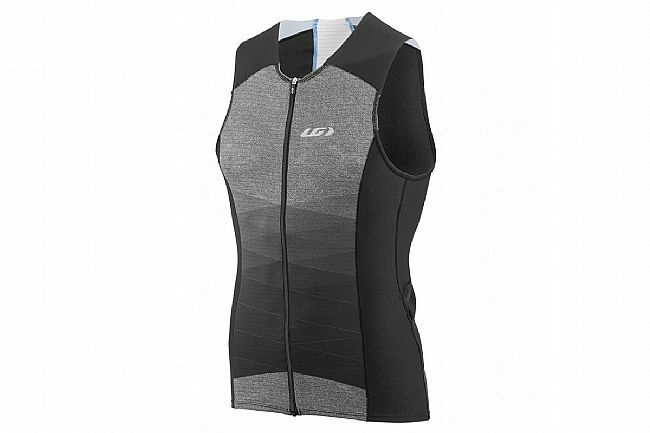 It’s made from quick-drying CB Carbon Slick and compressive Carbon-X Mesh. Coldblack® treatment provides cooling and SPF 50 by deflecting UV rays. 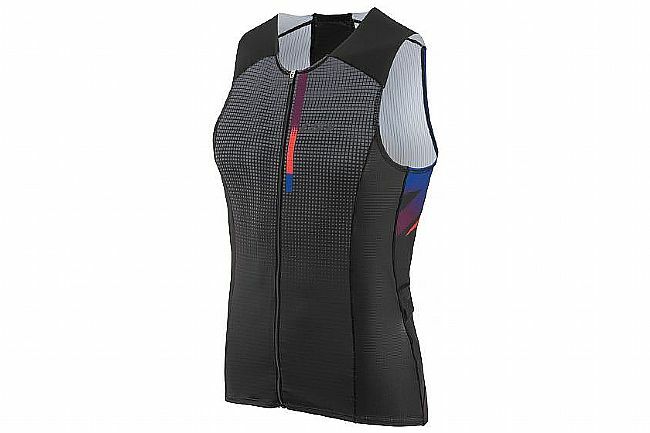 Laser cut Micro-Activ shoulders and mini-stitching reduces potential for chafing. 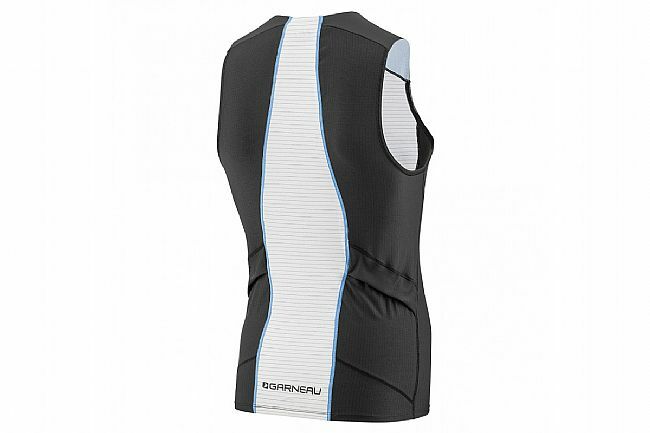 Two rear pockets offer storage for essential training and racing items. Quick-drying, chlorine-resistant CB Carbon Slick fabric. Coldblack® treatment provides cooling & SPF 50. Full-length zipper w/ protective inner flap. Micro-Activ, flatlock seams, & mini-stitching reduce irritation. 2 rear pockets w/ flap for hydrodynamics. Reflective accents enhance low-light visibility.